Richard Chamberlain rides a bike. 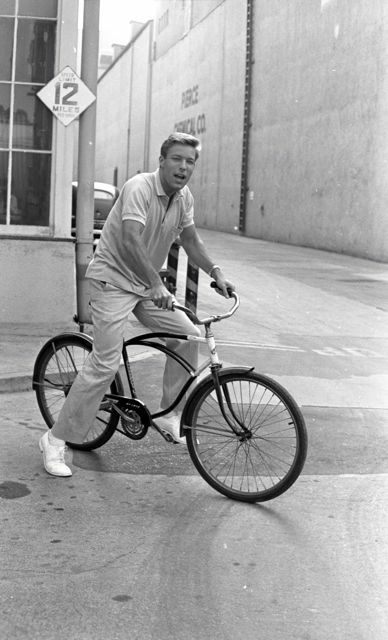 Richard Chamberlain on his Rollfast, circling MGM Studios during a break from shooting the 1961 season of NBC’s hit medical series, Dr. Kildare. Chamberlain has most recently been seen playing FBI guy Bill Stevenson in David Lynch’s new Twin Peaks.